material from the plant. When mature, the abscission or corky layer which forms at the stern end stops this inflow. Afterwards, the fruit depend on its own reserves, carbohydrates are dehydrated and sugars accumulate until the sugar acid ratio form. In addition to this, typical flavour and characteristic colour also develop. it has been determined that the stage of maturity at the time of picking influence the storage life and quality of fruit, when picked immature like mango develop white patches or air pockets during ripening and lacking in normal brix acid ratio or sugar acid ratio, taste and flavour on the other hand if the fruits are harvested over mature or full ripe they are easy susceptible to microbial and physiological spoilage and their storage life is considerably reduce. Such fruits persist numerous problems during handling, storage and transportation. Therefore, it is necessary or essential to pick up the fruits or vegetables at correct stage of maturity to facilitate proper ripening, distant transportation and maximum storage life. characteristics of the best fruit of that particular cultivar. The words “mature “and “ripe” are essentially synonymous when used to describe these fruits that ripe on the plants known as non-climacteric. However, in case of climacteric fruits a mature fruit require period before attaining a desirable stage of edibility. solubilised during ripening. During this softening, there is a loss of neutral sugars (galactose and arabinose-major components of neutral protein) and acidic pectin (rhamnogalacturonan) of all cell wall. The major enzymes implicated in the softening of fruits are pectine1asterase, polygalacturonase cellulase and β- galactosidase. depending on the fruit type and whether it is ripened on or off the plant. With the advancement of maturity, the accumulated starch is hydrolysed into sugars (glucose, fructose or sugars) which are known as a characteristic event for fruit ripening. Further breakdown of sucrose into glucose and fructose is probably mediated by the action of invertase. In vegetables like potato and peas on the other hand, the higher sucrose content which remains high at fresh immature stage, converts into starch with the approach of maturity. With the onset of fruit ripening there is downward trend in the levels of organic acids. formation of salts of malic acid, reduction in the amounts of acid translocated from the leaves, reduced ability of fruits to synthesize organic acids with fruit maturity, translocation into sugars and dilution effect due to the increase in the volume of fruit. degradation of chlorophyll and is accompanied by the synthesis of other pigments usually either anthocyanins or carotenoids. They can give rise to a wide range of colours (from red to blue).The chloroplasts in green immature fruit generally lose chlorophyll on ripening and change into chromoplasts which contain carotenoid pigments. Carotenoids are normally synthesized in green plant tissue a major product being 3-carotene. However, in many fruits additional – carotene and lycopene is synthesized during ripening. 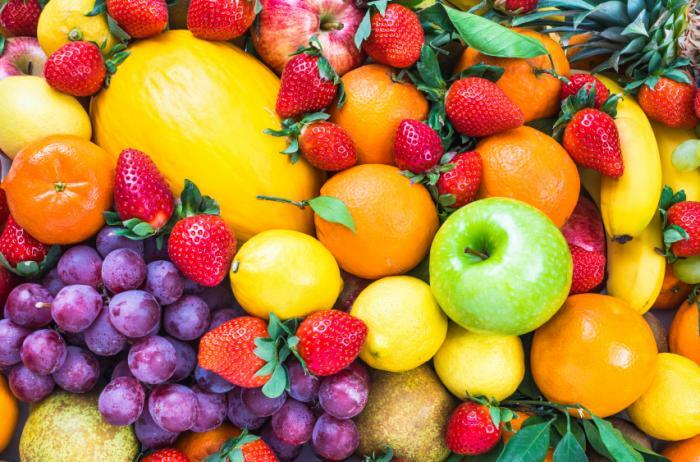 phenolics and volatile compounds but the characteristic flavour of an individual fruit or vegetable is derived from the production of specific flavouring volatile. These compounds are mainly esters, alcohols, aldehydes, acids and ketones. At least 230 and 330 different compounds in apple and orange fruits have been indicated respectively. amount of ascorbic acid is noticed in pome, stone and berry fruits at the time of harvest. An increase in ascorbic acid content with the increase in fruit growth has been and the levels declined with the advancement of maturity and onset of fruit ripening in pear, sweet potatoes, potato, asparagus and okra during the course of post harvest handling. levels when the fruit is considered to be physiologically mature and thereafter susceptible to the induction of ripening.